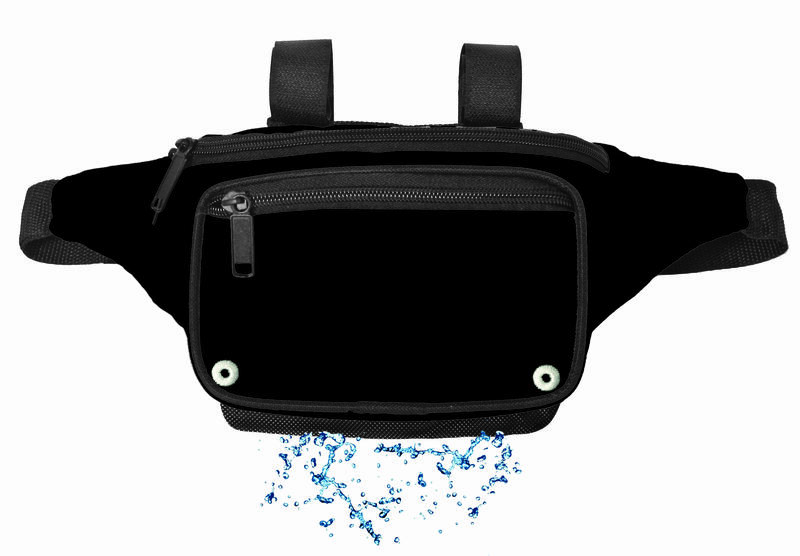 Our DrainEasy® Fanny Pack has integrated drainage throughout the hip pack, allowing additional air flow; and if submerged, allowing reduced weight and drying time. The DrainEasy® system has three zipper compartments, featuring mesh bottoms on the two main compartments and drain holes on the smaller front pocket. The interior mesh divider between the two main compartments makes it easier to see items inside the pack. 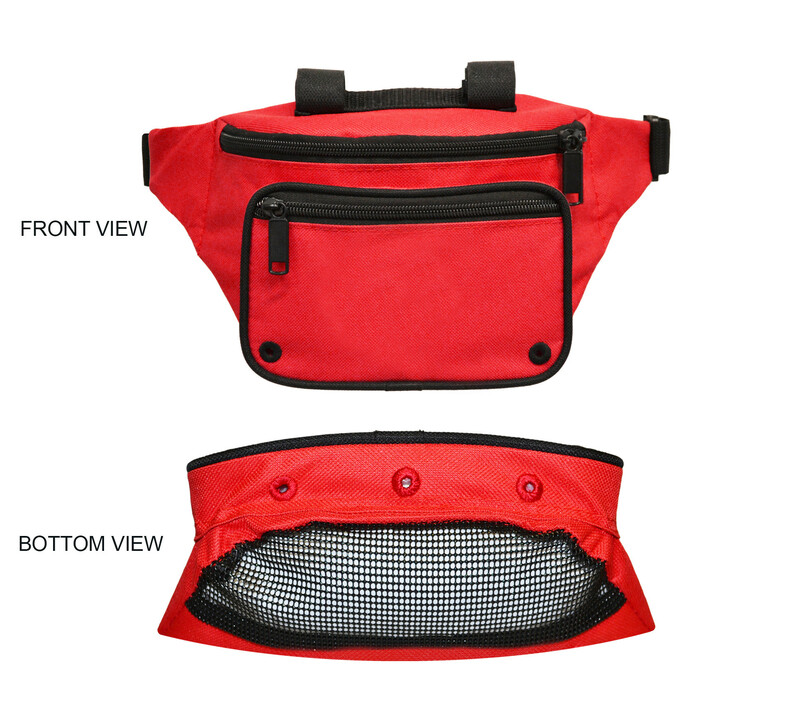 The size of the mesh used in the DrainEasy® Lifeguard Fanny Pack is also large enough to allow sand to flow through the compartments when used in outdoor environments. 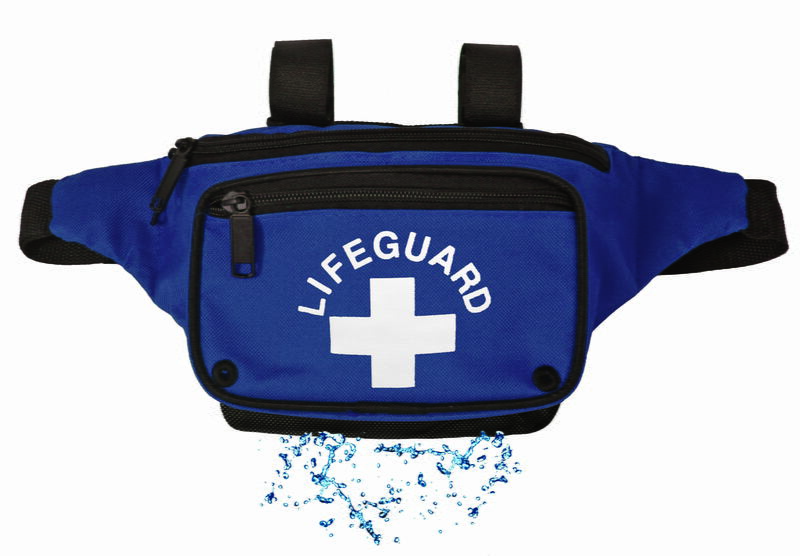 This fanny pack includes top straps to hold a water bottle or other lifeguard accessories. Velcro top straps to hold water bottle or towel (not included). This pouch also features drainage at the bottom.